Costa Rica ( /ˌkɒstə ˈriːkə/; Spanish: [ˈkosta ˈrika]; "Rich Coast"), officially the Republic of Costa Rica (Spanish: República de Costa Rica), is a country in Central America, bordered by Nicaragua to the north, Panama to the southeast, the Pacific Ocean to the west, the Caribbean Sea to the east, and Ecuador to the south of Cocos Island. It has a population of around 4.9 million, in a land area of 51,060 square kilometers (19,714 square miles); over 300,000 live in the capital and largest city, San José, which had a population of an estimated 333,980 in 2015. Costa Rica has been known for its stable democracy, in a region that has had some instability, and for its highly educated workforce, most of whom speak English. The country spends roughly 6.9% of its budget (2016) on education, compared to a global average of 4.4%. Its economy, once heavily dependent on agriculture, has diversified to include sectors such as finance, corporate services for foreign companies, pharmaceuticals, and ecotourism. 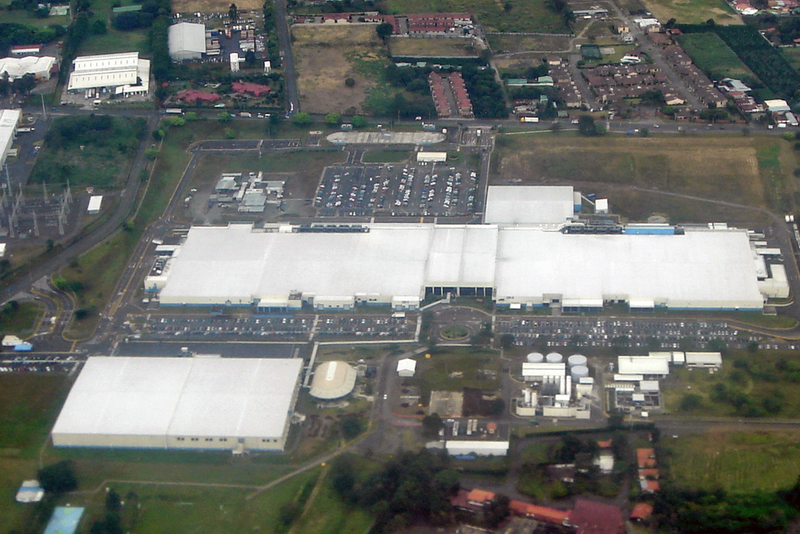 Many foreign companies (manufacturing and services) operate in Costa Rica's free trade zones (FTZ) where they benefit from investment and tax incentives. In spite of impressive growth in the gross domestic product (GDP), low inflation, moderate interest rates and an acceptable unemployment level, Costa Rica in 2017 was facing a liquidity crisis due to a growing debt and budget deficit. By August 2017, the Treasury was having difficulty paying its obligations. Other challenges facing the country in its attempts to improve the economy by increasing foreign investment include a poor infrastructure and a need to improve public sector efficiency. Costa Rica was sparsely inhabited by indigenous peoples before coming under Spanish rule in the 16th century. 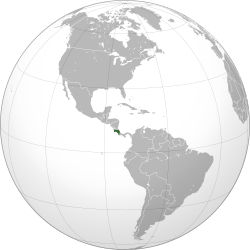 It remained a peripheral colony of the empire until independence as part of the short-lived First Mexican Empire, followed by membership in the United Provinces of Central America, from which it formally declared independence in 1847. Since then, Costa Rica has remained among the most stable, prosperous, and progressive nations in Latin America. Following the brief Costa Rican Civil War, it permanently abolished its army in 1949, becoming one of only a few sovereign nations without a standing army. The country has consistently performed favourably in the Human Development Index (HDI), placing 69th in the world as of 2015, among the highest of any Latin American nation. It has also been cited by the United Nations Development Programme (UNDP) as having attained much higher human development than other countries at the same income levels, with a better record on human development and inequality than the median of the region. Upon independence, Costa Rican authorities faced the issue of officially deciding the future of the country. Two bands formed, the Imperialists, defended by Cartago and Heredia cities which were in favor of joining the Mexican Empire, and the Republicans, represented by the cities of San José and Alajuela who defended full independence. Because of the lack of agreement on these two possible outcomes, the first civil war of Costa Rica occurred. The es (battle of Ochomogo) took place on the Hill of Ochomogo, located in the Central Valley in 1823. The conflict was won by the Republicans and, as a consequence, the city of Cartago lost its status as the capital, which moved to San José. 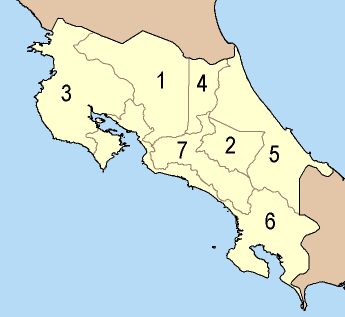 Costa Rica also comprises several islands. Cocos Island (24 square kilometres or 9.3 sq mi) stands out because of its distance from the continental landmass, 480 kilometres (300 mi) from Puntarenas, but Isla Calero is the largest island of the country (151.6 square kilometres or 58.5 sq mi). Over 25% of Costa Rica's national territory is protected by SINAC (the National System of Conservation Areas), which oversees all of the country's protected areas. Costa Rica also possesses the greatest density of species in the world. That is a primary reason why the major credit rating agencies – Standard & Poor's, Moody's and Fitch – have downgraded Costa Rica’s risk ratings. For example, Moody's Investors Service in early 2017 reduced the rating to Ba2 from Ba1, with a negative outlook due to the "rising government debt burden and persistently high fiscal deficit, which was 5.2% of GDP in 2016" and the "lack of political consensus to implement measures to reduce the fiscal deficit [which] will result in further pressure on the government's debt ratios". The country is currently debating major fiscal reform legislation to cut the budget deficits and stop the growth in debt, one of the highest in Latin America. Pharmaceuticals, financial outsourcing, software development, and ecotourism have become the prime industries in Costa Rica's economy. High levels of education among its residents make the country an attractive investing location. Since 1999, tourism earns more foreign exchange than the combined exports of the country's three main cash crops: bananas and pineapples especially, but also other crops, including coffee. Coffee production played a key role in Costa Rica's history and in 2006, was the third cash crop export. As a small country, Costa Rica now provides under 1% of the world’s coffee production. In 2015, the value of coffee exports was US$305.9 million, a small part of the total agricultural exports of US$2.7 billion. Coffee production increased by 13.7% percent in 2015-16, declined by 17.5% in 2016–17, but was expected to increase by about 15% in the subsequent year. Costa Rica is the most visited nation in the Central American region, with 2.9 million foreign visitors in 2016, up 10% from 2015. In 2015, the tourism sector was responsible for 5.8% of the country's GDP, or $3.4 billion. In 2016, the highest number of tourists came from the United States, with 1,000,000 visitors, followed by Europe with 434,884 arrivals. According to Costa Rica Vacations, once tourists arrive in the country, 22% go to Tamarindo, 18% go to Arenal, 17% pass through Liberia (where the Daniel Oduber Quirós International Airport is located), 16% go to San José, the country’s capital (passing through Juan Santamaría International Airport), while 18% choose Manuel Antonio and 7% Monteverde. A pioneer of ecotourism, Costa Rica draws many tourists to its extensive series of national parks and other protected areas. In the 2011 Travel and Tourism Competitiveness Index, Costa Rica ranked 44th in the world and second among Latin American countries after Mexico in 2011. By the time of the 2017 report, the country had reached 38th place, slightly behind Panama. The Ethical Traveler group's ten countries on their 2017 list of The World’s Ten Best Ethical Destinations includes Costa Rica. The country scored highest in environmental protection among the winners. Costa Rica finished a term on the United Nations Security Council, having been elected for a nonrenewable, two-year term in the 2007 election. Its term expired on December 31, 2009; this was Costa Rica's third time on the Security Council. Elayne Whyte Gómez is the Permanent Representative of Costa Rica to the UN Office at Geneva (2017) and President of the United Nations Conference to Negotiate a Legally Binding Instrument to Prohibit Nuclear Weapons. Template:Costa Rican censuses The 2011 census counted a population of 4.3 million people distributed among the following groups: 83.6% whites or mestizos, 6.7% mulattoes, 2.4% Native American, 1.1% black or Afro-Caribbean; the census showed 1.1% as Other, 2.9% (141,304 people) as None, and 2.2% (107,196 people) as unspecified. By 2016, the UN estimation for the population was around 4.9 million. In 2011, there were over 104,000 Native American or indigenous inhabitants, representing 2.4% of the population. Most of them live in secluded reservations, distributed among eight ethnic groups: es (Quitirrisí) (in the Central Valley), Matambú or Chorotega (Guanacaste), Maleku (northern Alajuela), Bribri (southern Atlantic), Cabécar (Cordillera de Talamanca), [] (southern Costa Rica, along the Panamá border), Boruca (southern Costa Rica) and es (Térraba) (southern Costa Rica). The literacy rate in Costa Rica is approximately 97 percent and English is widely spoken primarily due to Costa Rica’s tourism industry. When the army was abolished in 1949, it was said that the "army would be replaced with an army of teachers". Universal public education is guaranteed in the constitution; primary education is obligatory, and both preschool and high school are free. Students who finish 11th grade receive a Costa Rican Bachillerato Diploma accredited by the Costa Rican Ministry of Education. ^ a b "Live Costa Rica Population Clock 2017 - Polulation of Costa Rica Today". https://www.livepopulation.com/country/costa-rica.html. ^ a b c d e Central Intelligence Agency (2011). "Costa Rica". The World Factbook. Langley, Virginia: Central Intelligence Agency. https://www.cia.gov/library/publications/the-world-factbook/geos/cs.html. Retrieved 2011-10-04. ^ a b c d "Costa Rica". International Monetary Fund. 1 October 2017. http://www.imf.org/external/pubs/ft/weo/2017/02/weodata/weorept.aspx?sy=2016&ey=2020&scsm=1&ssd=1&sort=country&ds=.&br=1&pr1.x=89&pr1.y=9&c=238&s=NGDP_RPCH%2CNGDPD%2CPPPGDP%2CNGDPDPC%2CPPPPC&grp=0&a=. Retrieved 2018-03-16. ^ "Gini Index". World Bank. https://data.worldbank.org/indicator/SI.POV.GINI?locations=CR. Retrieved 2017-12-12. ^ a b "Capital Facts for San José, Costa Rica". 18 October 2017. https://www.worldscapitalcities.com/capital-facts-for-san-jose-costa-rica/. ^ a b c "Amazon invests in Costa Rica as tiny nation carves out profitable niche in world economy". 11 March 2017. http://www.seattletimes.com/business/amazon/amazon-invests-in-costa-rica-as-it-carves-itself-a-profitable-niche-in-the-world-economy/. ^ a b "The Investment Promotion Agency of Costa Rica". http://www.cinde.org/en/why/incentives. ^ a b "IMF Mission Concludes Visit to Costa Rica". https://www.imf.org/en/News/Articles/2016/12/16/PR16562-Costa-Rica-IMF-Mission-Concludes-Visit. ^ "Costa Rica will have trouble paying bills, president says". https://www.efe.com/efe/english/business/costa-rica-will-have-trouble-paying-bills-president-says/50000265-3342508#. ^ a b "Costa Rica Government Faces “Liquidity” Problems". 2 August 2017. http://qcostarica.com/costa-rica-government-faces-liquidity-problems/. ^ a b "Costa Rica "Playing With Fire" By Delaying Fiscal Reform Says Intl Expert - Costa Rica Star News". 24 July 2017. http://news.co.cr/costa-rica-playing-fire-delaying-fiscal-reform-says-intl-expert/63565/. ^ "Costa Rica Economy: Population, GDP, Inflation, Business, Trade, FDI, Corruption". http://www.heritage.org/index/country/costarica. ^ El Espíritu del 48. "Abolición del Ejército" (in Spanish). http://www.elespiritudel48.org/docu/h013.htm. Retrieved 2008-03-09. ^ "Costa Rica". World Desk Reference. Archived from the original on 2008-02-11. https://web.archive.org/web/20080211185659/http://dev.prenhall.com/divisions/hss/worldreference/CR/defense.html. Retrieved 2009-06-09. ^ "Costa Rica". Uppsala University. http://www.ucdp.uu.se/gpdatabase/gpcountry.php?id=39&regionSelect=4-Central_Americas. Retrieved 2009-06-09. ^ UNDP Human Development Report 2015. "Costa Rica – Country Profile: Human Development Indicators". UNDP. http://hdr.undp.org/en/countries/profiles/CRI. Retrieved 2016-04-05. ^ UNDP Human Development Report 2010 (PDF). Table 1: Human development index 2010 and its components. pp. 5, 49, 144. Archived from the original on 2010-11-08. https://web.archive.org/web/20101108160356/http://hdr.undp.org/en/media/HDR_2010_EN_Complete.pdf. Retrieved 2010-11-06. ^ UNDP Human Development Report 2015. "Table 1: Human Development Index and its components.". UNDP. http://hdr.undp.org/en/countries/profiles/CRI. Retrieved 2016-04-05. pp. 4, 42 (see Table 2.4 and Box 2.10) and 128. ^ Yale Center for Environmental Law & Policy / Center for International Earth Science Information Network at Columbia University. "2016 EPI Country Rankings". http://epi.yale.edu/country-rankings. Retrieved 2016-04-05. ^ a b Irene Rodríguez (2012-06-14). "Costa Rica es nuevamente el país más feliz del mundo, según índice 'Happy Planet'" (in Spanish). La Nación. Archived from the original on 2013-05-04. https://web.archive.org/web/20130504202401/http://www.nacion.com/2012-06-14/AldeaGlobal/Costa-Rica-es-nuevamente-el-pais-mas-feliz-del-mundo--segun-indice--Happy-Planet-.aspx. Retrieved 2012-06-14. ^ a b Fiona Harvey (2012-06-14). "UK citizens better off than EU counterparts, says happiness index". The Guardian. https://www.theguardian.com/environment/2012/jun/14/uk-happy-index-developed-world. Retrieved 2012-06-14. ^ Ashley Seager (2008-07-04). "Costa Rica is the world's happiest and greenest country in the world". London: The Guardian. https://www.theguardian.com/environment/2009/jul/04/costa-rica-happy-planet-index. Retrieved 2009-07-04. ^ John Burnett (2008-02-18). "Costa Rica Aims to Be a Carbon-Neutral Nation". National Public Radio (NPR.org). https://www.npr.org/templates/story/story.php?storyId=19141333. Retrieved 2009-04-27. ^ Alana Herro (2007-03-12). "Costa Rica Aims to Become First "Carbon Neutral" Country". Worldwatch Institute. http://www.worldwatch.org/node/4958. Retrieved 2009-04-27. ^ Alejandro Vargas (2007-02-21). "País quiere ser primera nación con balance neutro de carbono" (in Spanish). La Nación. Archived from the original on 2009-02-16. https://web.archive.org/web/20090216202509/http://nacion.com/ln_ee/2007/febrero/21/aldea1002694.html. Retrieved 2009-04-27. ^ "Costa Rica's electricity was produced almost entirely from renewable sources in 2016". 2 January 2017. https://www.independent.co.uk/environment/costa-rica-renewable-energy-electricity-production-2016-climate-change-fossil-fuels-global-warming-a7505341.html. ^ "About Costa Rica". Embassy of Costa Rica in Washington DC. http://www.costarica-embassy.org/index.php?q=node/19. Retrieved 2012-09-18. ^ "History of Costa Rica". Lonely Planet. http://www.lonelyplanet.com/costa-rica/history. Retrieved 2012-09-18. ^ "Costa Rica – Cartago". Costarica.com. 2009-05-22. http://www.costarica.com/Destinations/Cities-and-Towns/Cartago/. Retrieved 2010-06-26. ^ "Costa Rica's Coffee Tradition - Costa Rica Star News". 21 October 2016. http://news.co.cr/costa-ricas-coffee-tradition/52303/. ^ "Coffee of Costa Rica - el café". http://www.travelcostarica.nu/coffee#history. ^ "History of Coffee in Costa Rica". http://www.embassycrsg.com/history-of-coffee-in-costa-rica.html. ^ a b c Imports, Cafe. "Cafe Imports - Costa Rica". http://www.cafeimports.com/origin_costarica. ^ "Costa Rica Coffee - Past & Present Coffee Cultivations". https://www.anywhere.com/costa-rica/travel-guide/coffee. ^ "Coffee Production and Processing on a Large Costa Rican Finca". Bib. Orton IICA / CATIE. https://books.google.com/books?id=l9QOAQAAIAAJ&pg=PA310. ^ "Blacks of Costa Rica". World Culture Encyclopedia. http://www.everyculture.com/Middle-America-Caribbean/Blacks-of-Costa-Rica.html. Retrieved 2007-11-23. 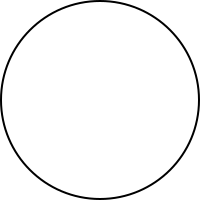 ^ Rankin, Monica A. (29 December 2017). "The History of Costa Rica". ABC-CLIO. https://books.google.com/books?id=bUM8y5L1h8kC&pg=PA80&dq=costa+rica+history+united+fruit+company'&hl=en&sa=X&ved=0ahUKEwi8iNr_5L7VAhUo34MKHduXCiQQ6AEIMjAC#v=onepage&q=costa+rica+history+united+fruit+company'&f=false. ^ Bucheli, Marcelo (1 February 2005). "Bananas and Business: The United Fruit Company in Colombia, 1899-2000". NYU Press. https://books.google.com/books?id=YujmDAAAQBAJ&pg=PT135&dq=Great+Banana+strike+1934&hl=en&sa=X&ved=0ahUKEwjWi6S__NLVAhWB7oMKHREIBrsQ6AEIRTAF#v=onepage&q=Great+Banana+strike+1934&f=false. ^ Shafer, D. Michael (29 December 1994). "Winners and Losers: How Sectors Shape the Developmental Prospects of States". Cornell University Press. https://books.google.com/books?id=aflY6uCO1DMC&pg=PA213&dq=Great+Banana+strike+1934+collective+agreement&hl=en&sa=X&ved=0ahUKEwjzto2j_dLVAhVF7YMKHfldBagQ6AEIKDAA#v=onepage&q=Great+Banana+strike+1934+collective+agreement&f=false. ^ "The Happiest People". The New York Times. January 6, 2010. ^ "estudiofi". Inbio.ac.cr. http://www.inbio.ac.cr/es/biod/estrategia/estudio.html. Retrieved 2010-06-26. ^ Eggar, Marc. "Climate/Weather". http://www.worldheadquarters.com/cr/climate/. Retrieved 28 June 2011. ^ Leo Hickman (2007-05-26). "Shades of green". London: The Guardian. https://www.theguardian.com/travel/2007/may/26/saturday.costarica. Retrieved 2008-06-08. ^ "United Nations Framework Convention on Climate Change. "Issues relating to reducing emissions from deforestation in developing countries and recommendations on any further process"" (PDF). http://unfccc.int/resource/docs/2006/sbsta/eng/misc05.pdf. Retrieved 2010-06-26. ^ Earth Trends (2003). "Biodiversity and Protected Areas – Costa Rica" (PDF). World Resources Institute. Archived from the original on 2011-09-27. https://web.archive.org/web/20110927060236/http://earthtrends.wri.org/pdf_library/country_profiles/bio_cou_188.pdf. Retrieved 2008-06-08. ^ "Costa Rica National Parks and Reserves". World Headquarters. 2007. http://www.worldheadquarters.com/cr/protected_areas/. Retrieved 2008-06-08. ^ Leonardo Coutinho; Otávio Cabral (2008-05-21). "O desafio da economia verde" (in Portuguese). Revista Veja. Archived from the original on 2009-02-23. https://web.archive.org/web/20090223215610/http://planetasustentavel.abril.com.br/noticia/desenvolvimento/conteudo_280147.shtml?func=2. Retrieved 2008-06-08. Published on website "Planeta Sustentável"
^ "Corcovado National Park Costa Rica". http://costa-rica-guide.com/Natural/Corcovado.html. ^ "Diversity of Corcovado National Park". Govisitcostarica.com. http://www.govisitcostarica.com/region/city.asp?cID=350. Retrieved 2010-06-26. ^ a b Hunter, L.; Andrew, D. (2002). Watching Wildlife Central America. Lonely Planet. p. 97. ISBN 1-86450-034-4. ^ a b "Monteverde Cloud Forest Reserve". Govisitcostarica.com. http://www.govisitcostarica.com/region/city.asp?cID=402. Retrieved 2010-06-26. ^ Stater, Adam. "Birds of Costa Rica". http://www.anywherecostarica.com/flora-fauna/bird. ^ Garland, T., Jr. (1984). "Physiological correlates of locomotory performance in a lizard: an allometric approach". American Journal of Physiology 247 (5 Pt 2): R806–R815. PMID 6238543. ^ a b c d "Global Finance Magazine - Costa Rica GDP and Economic Data". https://www.gfmag.com/global-data/country-data/costa-rica-gdp-country-report. ^ "Moody's downgrades Costa Rica's government bond rating to Ba2, continued negative outlook". 9 February 2017. https://www.moodys.com/research/Moodys-downgrades-Costa-Ricas-government-bond-rating-to-Ba2-continued--PR_361770. ^ "CINDE - Why Invest in Costa Rica". http://www.cinde.org/en/why/success-stories. ^ a b "Major Business Success for Costa Rica Free Trade Zones - Costa Rica Star News". 23 August 2016. http://news.co.cr/major-business-success-costa-rica-free-trade-zones/50129/. ^ "America Free Zone". http://www.americafreezone.com/v2/?q=en. ^ "Okay Industries Expands Operation in Costa Rica and Reinvests US$ 2 Million". 19 June 2017. http://www.cinde.org/en/news/videos/okay-industries-expands-operation-in-costa-rica-and-reinvests-us-2-million. ^ "Costa Rica - employment by economic sector - Statistic". https://www.statista.com/statistics/454908/employment-by-economic-sector-in-costa-rica/. ^ "Costa Rica country profile". 4 July 2017. http://www.bbc.com/news/world-latin-america-19414068. ^ Maldonado, Gabriel (16 February 2017). "Costa Rica's Healthcare: One of the Best at a Low Cost - The Costa Rica News". https://thecostaricanews.com/costa-ricas-healthcare-system-one-best-low-cost/. ^ a b c d e ITA. "Export.gov - CCG". http://2016.export.gov/costarica/doingbusinessincostarica/index.asp. ^ "The Structure of the Educational System in Costa Rica - CostaRicaLaw.com". 29 November 2015. https://costaricalaw.com/costa-rica-legal-topics/educational-system/the-structure-of-the-educational-system-in-costa-rica/. ^ "IMF Executive Board Concludes 2017 Article IV Consultation with Costa Rica". http://www.imf.org/en/News/Articles/2017/06/27/pr17251-imf-executive-board-concludes-2017-article-iv-consultation-with-costa-rica. ^ a b "Costa Rica: Staff Concluding Statement of the 2017 Article IV Mission". https://www.imf.org/en/News/Articles/2017/05/15/ms051517-costa-rica-staff-concluding-statement-of-the-2017-article-iv-mission. ^ "Banco Central de Costa Rica". http://indicadoreseconomicos.bccr.fi.cr/indicadoreseconomicos/IndicadoresEconomicos/frmEstructuraInformacion.aspx?idioma=I&codMenu=%2071&DesTitulo=Daily%20Information. Retrieved 11 June 2015. ^ "US Dollar (USD) to Costa Rica Colon (CRC) exchange rate history". http://www.exchangerates.org.uk/USD-CRC-exchange-rate-history.html. ^ ""Good" & "Bad" Exchange Rates". http://costa-rica-guide.com/practical/money/good-bad-exchange-rates/. ^ "Hoysd.com: News Hoy San Diego – San Diego Union Tribune". http://www.sandiegouniontribune.com/hoy-san-diego/news/. ^ "Costa Rica - Import Tariffs - export.gov". https://www.export.gov/article?id=Costa-Rica-Import-Tariffs. ^ a b "OEC - Costa Rica (CRI) Exports, Imports, and Trade Partners". http://atlas.media.mit.edu/en/profile/country/cri/. ^ a b "Costa Rica’s Fruits Exports Beyond Pineapples And Bananas". 16 May 2017. http://qcostarica.com/costa-ricas-fruits-exports-beyond-pineapples-and-bananas/. ^ Sawin, Janet L. (2007-11-07). "Bright Green: Costa Rica and New Zealand on Path to Carbon Neutrality". Worldchanging. Archived from the original on 2011-05-04. https://web.archive.org/web/20110504015643/http://www.worldchanging.com/archives/007549.html. Retrieved 2011-05-05. ^ "Costa Rica uses 100 pct. clean energy to generate power for over 90 days". EFE (Fox News Latino). August 13, 2015. Archived from the original on August 18, 2015. https://web.archive.org/web/20150818071137/http://latino.foxnews.com/latino/news/2015/08/13/costa-rica-uses-100-pct-clean-energy-to-generate-power-for-over-0-days/. ^ "Costa Rica ran almost entirely on renewables in 2016". http://inhabitat.com/costa-rica-ran-almost-entirely-on-renewables-in-2016/. ^ "Latin American countries with the largest number of international tourist arrivals in 2015 (in millions)". https://www.statista.com/statistics/305482/latin-american-countries-with-the-most-international-tourist-arrivals/. Retrieved 21 March 2017. ^ "Costa Rica: Flow of Visitors Up 10% in 2016". Central America Data. February 8, 2017. http://www.centralamericadata.com/en/article/home/Costa_Rica_Flow_of_Visitors_Up_10_in_2016. Retrieved 21 March 2017. ^ "Tourism Represents 5.8% of GDP in Costa Rica - Costa Rica Star News". 16 June 2017. https://news.co.cr/tourism-represents-large-gdp-costa-rica/62237/. ^ Rodriguez Valverde, Andrea (February 17, 2017). "Costa Rica alcanza cifra récord en llegadas internacionales: 2,9 millones de visitantes". El Financiero. http://www.elfinancierocr.com/economia-y-politica/Costa-Rica-internacionales-millones-visitantes_0_1118888103.html. Retrieved 21 March 2017. ^ "Costa Rica Vacations". http://costaricavacations.com/. Retrieved 21 March 2017. ^ José Enrique Rojas (2004-12-29). "Turismo, principal motor de la economía durante el 2004" (in Spanish). La Nación. http://www.elempleo.co.cr/clientes/news_cli.asp?not_id=22. Retrieved 2008-04-13. ^ Honey, Martha (1999). "Ecotourism and Sustainable Development: Who Owns Paradise?". ^ Jennifer Blanke, ed (2011). "Travel & Tourism Competitiveness Report 2011". World Economic Forum, Geneva, Switzerland. http://www3.weforum.org/docs/WEF_TravelTourismCompetitiveness_Report_2011.pdf. Retrieved 2011-03-14. ^ "Costa Rica Ranks 38th in Tourism and Travel Competitiveness Report 2017 - Costa Rica Star News". 23 June 2017. http://news.co.cr/costa-rica-ranks-38-in-tourism-and-travel-competitiveness-report-2017/62394/. ^ "The Most Ethical Travel Destinations for 2017". http://www.earthisland.org/journal/index.php/elist/eListRead/the_most_ethical_travel_destinations_for_2017/. ^ "Costa Rican Ministry of International Relations Declaration of Objectives". Costa Rican Ministry of International relations. http://www.rree.go.cr/?sec=ministerio&cat=politica%20exterior. Retrieved 2011-04-23. ^ "Costa Rica re-establishes ties with Cuba" Script error, CNN World, 2009-03-18. ^ "IJC Court Ruling". nacion.com. Archived from the original on 2011-12-29. https://web.archive.org/web/20111229193653/http://www.nacion.com/2011-03-08/ElPais/UltimaHora/UH-HAYA1.aspx. Retrieved 2011-03-08. ^ "International Court of Justice recent provisional Costa Rica-Nicaragua decision". http://www.icj-cij.org/docket/files/150/16324.pdf?PHPSESSID=dfc78e071a095818c7de6e8f8f29aa1b. Retrieved 2011-11-02. ^ "World Court Settles San Juan River Dispute; Nicaragua and Costa Rica Both Claim Victory". Allbusiness.com. 2009-07-16. Archived from the original on 2011-05-11. https://web.archive.org/web/20110511230540/http://www.allbusiness.com/legal/legal-services-litigation/12579933-1.html. Retrieved 2010-12-21. ^ Section, United Nations News Service (6 July 2017). "UN News - UN Member States set to adopt ‘historic’ treaty prohibiting nuclear weapons". http://www.un.org/apps/news/story.asp?NewsID=57131#.WYZqlITyvX4. ^ "Costa Rica Population Statistics - CostaRicaLaw.com". 30 September 2016. https://costaricalaw.com/costa-rica-facts/demographics-and-population/population-statistics/. ^ Dickerson, Marla; Kimitch, Rebecca (2006-03-23). "Costa Rica Seeks to Shut Its Doors to Illegal Migrants From Nicaragua". Los Angeles Times. http://articles.latimes.com/2006/mar/23/world/fg-costa23. Retrieved 2010-05-02. ^ Biesanz, Karen Zubris; Biesanz, Mavis Hiltunen; Biesanz, Richard (1998). The Ticos: Culture and Social Change in Costa Rica. Boulder, CO: Lynne Rienner Publishers. p. 118. ISBN 1-55587-737-0. ^ "Costa Rica country profile (from the Migration and Remittances Factbook 2011)". World Bank. http://siteresources.worldbank.org/INTPROSPECTS/Resources/334934-1199807908806/CostaRica.pdf. Retrieved 2011-08-17. ^ "International Migrants by Country". 10 November 2016. http://www.pewglobal.org/interactives/migration-tables/. ^ Holpuch, Amanda (26 July 2016). "US partners with Costa Rica to protect Central American refugees". https://www.theguardian.com/world/2016/jul/26/central-american-refugees-costa-rica-obama-administration. ^ "Costa Rica Becomes A Magnet For Migrants". https://www.npr.org/sections/parallels/2016/09/01/492066728/costa-rica-becomes-a-magnet-for-migrants. ^ "Nicaragua, Trump, Deportations and the Affect on Family Remittances". http://www.havanatimes.org/?p=122498. ^ a b "World - Buddhism in Costa Rica". http://www.buddhistchannel.tv/index.php?id=71,11009,0,0,1,0. ^ Quirós, Adriana (24 December 2010). "Navidad se vive diferente en hogares ticos no cristianos" (in Spanish). La Nación. Archived from the original on 28 December 2010. https://web.archive.org/web/20101228232240/http://www.nacion.com/2010-12-25/AldeaGlobal/FotoVideoDestacado/AldeaGlobal2626179.aspx. ^ "Jewish Community in Costa Rica". Jcpa.org. 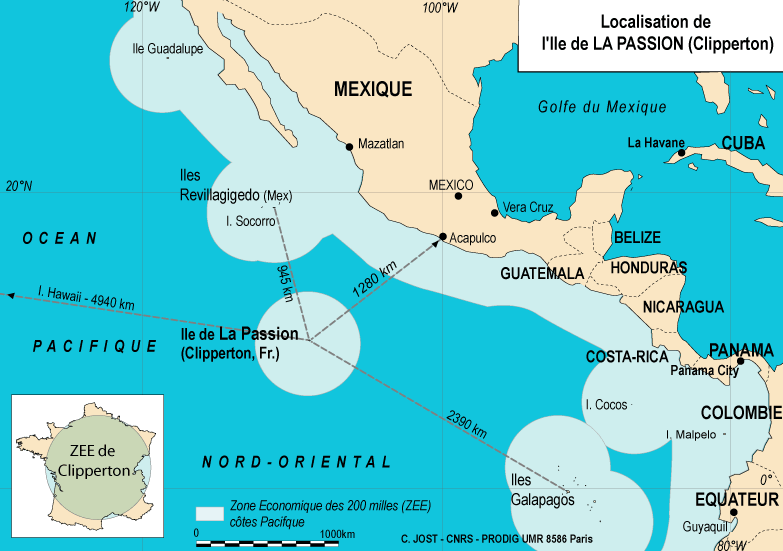 http://www.jcpa.org/dje/articles2/costarica.htm. Retrieved 2010-06-26. ^ "Costa Rica". Archived from the original on August 25, 2010. https://web.archive.org/web/20100825062417/http://newsroom.lds.org/ldsnewsroom/eng/contact-us/costa-rica. Retrieved 2008-12-13. . LDS Newsroom. Retrieved 2008-12-13. ^ "San José Costa Rica LDS (Mormon) Temple". Ldschurchtemples.com. Archived from the original on 2008-02-28. https://web.archive.org/web/20080228180350/http://www.ldschurchtemples.com/sanjose/. Retrieved 2010-06-26. ^ "List of LDS (Mormon) temples in Central America and the Caribbean". Lds.org. http://www.lds.org/temples/geographical/0,11380,1899-1---19,00.html. Retrieved 2010-06-26. ^ a b "What Languages Are Spoken In Costa Rica?". http://www.worldatlas.com/articles/what-languages-are-spoken-in-costa-rica.html. ^ Jairo Villegas (2008-03-13). "Solo 1 de cada 10 adultos habla un segundo idioma". La Nación (Costa Rica). http://wvw.nacion.com/ln_ee/2008/marzo/11/pais1457622.html. Retrieved 2010-07-22. ^ "These Are the World’s Happiest Places". 16 October 2017. https://www.nationalgeographic.com/magazine/2017/11/worlds-happiest-places/. ^ "Costa Rica is the Happiest Places in the World According to National Geographic..". 9 November 2017. http://www.todayincostarica.com/costa-rica-is-the-happiest-places-in-the-world-according-to-national-geographic/. ^ a b "What does Pura Vida mean…". http://www.elementonatural.com/2016/08/12/what-does-pura-vida-mean/. ^ Rankin, Monica A. (29 December 2017). "The History of Costa Rica". ABC-CLIO. https://books.google.com/books?id=bUM8y5L1h8kC&pg=PA1&dq=costa+rica+meaning+of+pura+vida&hl=en&sa=X&ved=0ahUKEwiu2Y3q6cLVAhUiw4MKHdfxAD4Q6AEILDAB#v=onepage&q=costa+rica+meaning+of+pura+vida&f=false. ^ "PURA VIDA: The Most Important Costa Rica Spanish Expression". http://www.speakinglatino.com/pura-vida-the-most-important-phrase-in-costa-rica/. ^ Trester, Anna Marie (2003). "Bienvenidos a Costa Rica, la tierra de la pura vida: A Study of the Expression “pura vida” in the Spanish of Costa Rica". In Sayahi, Lotfi. Selected Proceedings of the First Workshop on Spanish Sociolinguistics. Somerville, MA: Cascadilla Proceedings Project. pp. 61–69. ISBN 1-57473-400-8. http://www.lingref.com/cpp/wss/1/paper1008.pdf. ^ "PURA VIDA: The Most Important Costa Rica Spanish Expression". https://www.speakinglatino.com/pura-vida-the-most-important-phrase-in-costa-rica/. ^ "World Happiness Report 2017 – World Happiness Report". http://worldhappiness.report/ed/2017/. ^ "The 21 happiest countries in the world". http://www.businessinsider.com/world-happiness-report-happiest-countries-2017-3/#12-costa-rica-out-of-all-the-countries-in-the-top-21-costa-rica-had-the-lowest-gdp-per-capita-nevertheless-its-high-levels-of-social-support-and-low-levels-of-perceived-corruption-earned-it-an-esteemed-spot-on-the-list-the-country-is-also-a-leader-in-sustainability-and-renewable-energy-having-recently-gone-76-days-without-using-fossil-fuels-10. ^ "Revealed: The world's 20 happiest countries". https://www.telegraph.co.uk/travel/galleries/worlds-happiest-countries/costa-rica/. ^ "Costa Rican Typical Food". Southerncostarica.biz. http://www.southerncostarica.biz/General/cat-others/Costarican-Typical-Food/179/. Retrieved 2011-11-02. ^ Griffiths, F. (June 24, 2014). "World Cup: Costa Rica defies the odds in winning Group D". Toronto Star. https://www.thestar.com/sports/soccer/2014/06/24/world_cup_costa_rica_defies_the_odds_in_winning_group_d.html. Retrieved 2014-06-29. ^ Martel, B. (June 29, 2014). "Navas Carries Costa Rica to World Cup Quarters". ABC News. http://abcnews.go.com/Sports/wireStory/navas-carries-costa-rica-world-cup-quarters-24358976. Retrieved 2014-06-29. ^ Human Development Report. "International Human Development Indicators". UNDP. Archived from the original on 2012-06-25. https://web.archive.org/web/20120625092634/http://hdrstats.undp.org/en/countries/profiles/CRI.html. Retrieved 2012-06-18. ^ Anne Casselman (2008-04-14). "Long-Lived Costa Ricans Offer Secrets to Reaching 100". National Geographic News. http://news.nationalgeographic.com/news/2008/04/080414-longest-lived.html. Retrieved 2011-03-04. ^ Dan Buettner (2007-02-02). "Report from the 'Blue Zone': Why Do People Live Long in Costa Rica?". ABC News. http://abcnews.go.com/Technology/LivingLonger/story?id=2843049&page=1. Retrieved 2011-03-04. ^ Nic Marks (2012-06-14). "Measuring what matters: the Happy Planet Index 2012". New Economics Foundation. http://www.neweconomics.org/blog/2012/06/14/measuring-what-matters-the-happy-planet-index-2012. Retrieved 2012-06-17. ^ (2008) "Costa Rica: Achievements of a Heterodox Health Policy". American Journal of Public Health 98 (4): 636–643. DOI:10.2105/AJPH.2006.099598. PMID 17901439. ^ (2009) "CLOSING THE GAPS: The Challenge to Protect Costa Rica's Health Care System". The Georgetown Public Policy Review (77). ^ a b Herrick, Devon M. (2007). Medical Tourism: Global Competition in Health Care. National Center for Policy Analysis, Dallas, Texas. pp. 4–6, 9. ISBN 1-56808-178-2. Archived from the original on 2011-07-20. https://web.archive.org/web/20110720093845/http://www.unf.edu/brooks/center/pdfs/Medical%20Tourism%20Herrick.pdf. ^ "Medical Tourism Statistics and Facts". Health-Tourism.com. http://www.health-tourism.com/medical-tourism/statistics/. Retrieved 2011-03-02. This page uses content from the English language Wikipedia. The original content was at Costa Rica. The list of authors can be seen in the page history. As with this Familypedia wiki, the content of Wikipedia is available under the Creative Commons License.